Most times when trainer Danny O'Brien walked past the box of recuperating three-year-old Decircles during the spring carnival, he would remind himself that a forced layoff for a young racehorse at that time of year could ultimately be beneficial. But all the same, tomorrow's return to the track of the superbly bred colt has been a long time coming. By champion sire Encosta De Lago, Decircles, whose dam Lady Circles is a half-sister to former stars Haradasun and Elvstroem, showed O'Brien abnormal talent as a still growing two-year-old, but now as a summer three-year-old, he is lining up for just his fifth race start in the listed Kensington Stakes at Flemington. Immaturity and then a hock injury early last spring have kept his trainer wondering and hoping. "He won so well [at Seymour] first-up and then he galloped brilliantly before the McNeil Stakes and we were all so excited, but it was then we found the hock problem," O'Brien said yesterday. "He'd jarred his hock, which is similar to spraining an ankle, but then he got fluid in the hock and that was the end of the spring. We're all hoping it [the injury] was a blessing as it meant he spent the entire spring in the paddock and has enjoyed a really nice, slow build-up to his return. He's going to come back a more mature horse." At just his third start, Decircles ran second in the group 2 Sires' Produce Stakes at Flemington. When he resumed in August he won his maiden at Seymour by 4½ lengths - then the hock problem flared. With seemingly all those problems behind him, the trainer is happy to look forward and when he does he sees looming the group 1 Australian Guineas at Flemington, a race he won last year with Shamrocker. He concedes he is still learning about the lightly raced colt but is planning a three-race preparation into the classic in March. "Shamrocker went into the Guineas second-up, but she'd come off a spring carnival and had that fitness still going into the autumn. But Decircles has been off the scene for so long he's going to need three runs before he could tackle a race like that." Decircles is the lone three-year-old in the Kensington Stakes (1000 metres) against 10 match-hardened older horses and so O'Brien's expectations of victory are not sizeable. "You'd think over 1000 metres it will be too short for him, but it's a really nice race for him to kick off in." The Flemington trainer also has his eyes on the $1 million prize next month at Caulfield for two-year-olds and yesterday confirmed his colt Cambiaso would resume in the Blue Diamond Preview at Caulfield on Thursday. Cambiaso is one of the favourites for the Blue Diamond on the strength of his debut win at Flemington in October. O'Brien said Shamrocker, who also won the AJC Derby last autumn, was still in the paddock recuperating from a number of niggling injuries that contributed to her loss of form last spring. 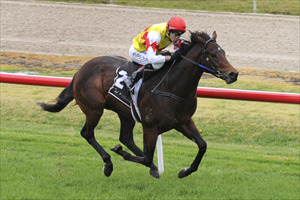 The mare was expected to resume work next month with a view to a Brisbane winter campaign, he said.